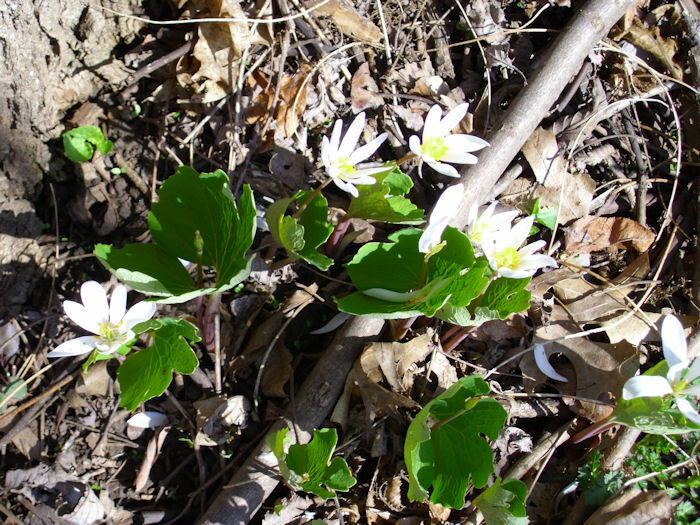 There are a number of sources that tell you what a useful plant bloodroot is. 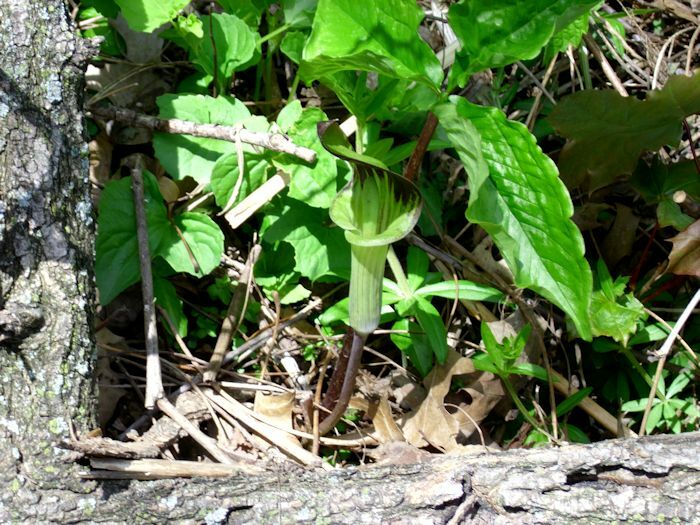 Of course, the woods are also the source of foods such as the morel mushroom—not that I was particularly successful in finding any this year. When I do find them, they cook up nicely in a stew or simply sauteed in a bit of butter. The woods provides this amazing bounty without any effort on my part, except in preservation efforts I take on the wood’s behalf. The gooseberries have already blossomed and set fruit. I won’t pick them though until mid-summer. I prefer a mix of dark black and green gooseberries for use in preserves (jam) or pie. We have both European and American gooseberries. 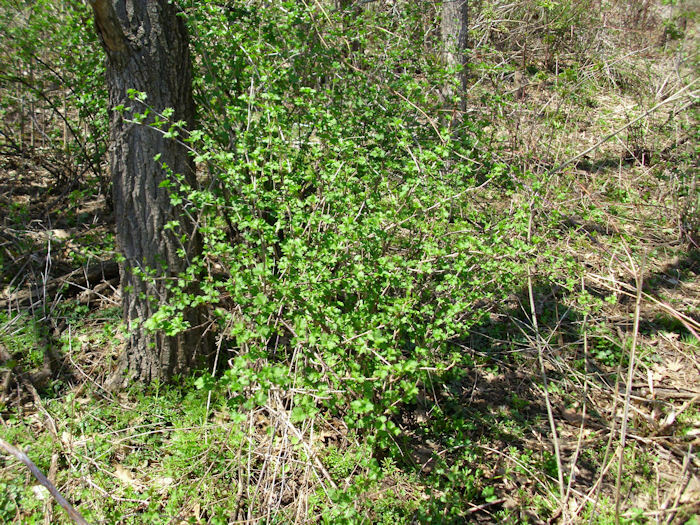 Even though the European gooseberry is larger, the American gooseberry doesn’t suffer from mildew problems and produces more fruit per bush. I’ve found that the American gooseberries are a bit more tart than the European variety and that they’re better a bit on the green side. Mixed, the two kinds of gooseberry produce a delectable treat you won’t find in your local store (at least, not without a lot of looking). Gooseberries are terribly hard to pick—the long thorns will rip up your arms, even with long sleeves. Gingerly picking up the individual canes and picking the berries underneath works best. A berry that ripens earlier is the blackcap (also known as a black raspberry). They also flowered and set fruit quite some time ago. I keep a watch on them because they tend to ripen quickly and don’t last particularly long on the bushes. Blackcaps are the easiest berries to pick and have an amazing flavor that differs from their red raspberry counterpart. They’re a bit smaller than red raspberries. 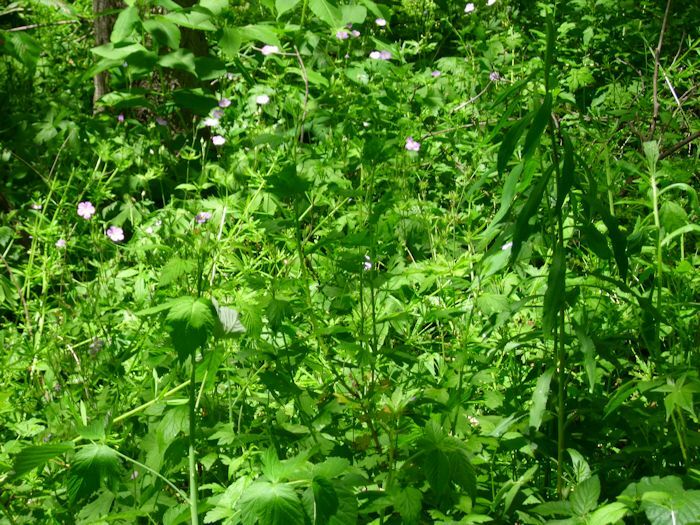 We have a few red raspberry canes in the woods, but not enough to do much, so we mix them with the blackcaps. Because we don’t have a lot of blackcaps, we tend to use them for preserves. In a good year it’s nothing for me to fill two or three gallon buckets with blackberries in an early morning picking session. We’ll use them for pie, preserves, wine, and just eating. The thorns of the blackberry are a bit longer than those of the blackcap. The longer canes make it harder to maneuver amongst the plants. 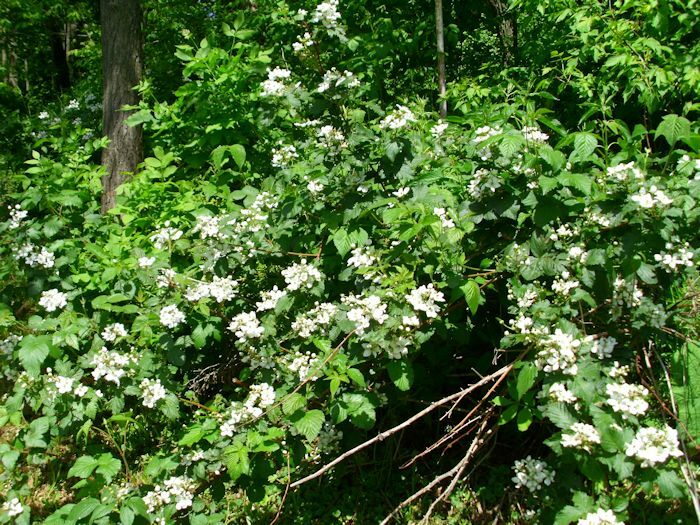 In addition, our blackberries tend to grow on the sides of the hills, making them a little inaccessible at times. Of course, the taste is worth all of the effort. I’ve only touched on a few highlights of the woods in this post. The biggest reason to maintain a healthy woods is that the majority of our pollinators live them. Every spring I count the number of different pollinators that visit our fruit trees. This year I counted eleven. Some I knew, such as the bumblebee, mason bee, black bee, and sweat bee. There were also a number of wasps and a few other varieties of pollinator that I haven’t researched as of yet. The point is, the majority of these pollinators come from our woods, so a healthy woods is essential to our health. 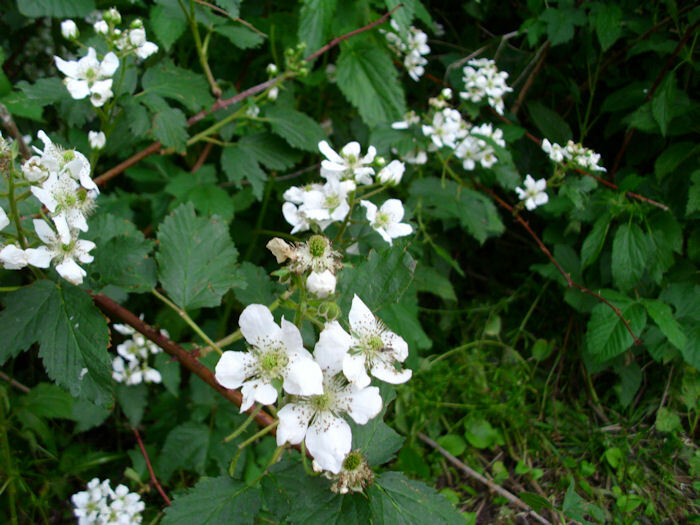 Interestingly enough, the berry brambles in the woods are an important food source for pollinators in the early spring, so my delicacy is their delicacy too. What sorts of berries do you like? Let me know at John@JohnMuellerBooks.com.